I seldom watch the news on TV, so I was surprised to see a small news on environment exactly as I switched it on. That one was on global warming, and was quoting the WWF. According to this renowned environmental organization : “Climate change is having a greater and faster impact on the Arctic than previously thought”. This is most unfortunately no surprise as I already mentioned it here previously. This corroborates the findings of the previous studies : we have to act fast. The new report, called Arctic Climate Impact Science – An Update Since ACIA, represents the most wide-ranging reviews of arctic climate impact science since the Arctic Climate Impact Assessment (ACIA) was published in 2005. Melting of arctic sea ice and the Greenland ice sheet was found to be severely accelerated, now even prompting the expert scientists to discuss whether both may be close to their ‘tipping point’ (the point where, because of climate change, natural systems may experience sudden, rapid and possibly irreversible change). 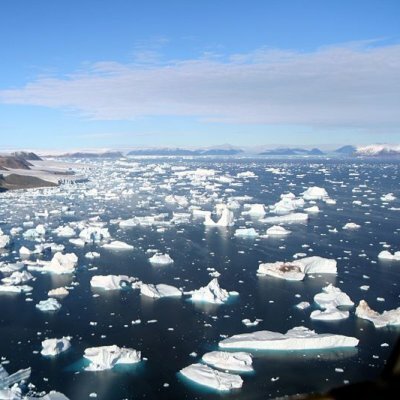 According to last year’s reports of the Intergovernmental Panel on Climate Change, if the entire Greenland ice sheet were to melt, sea levels would rise 7.3 metres, making its status a global concern. 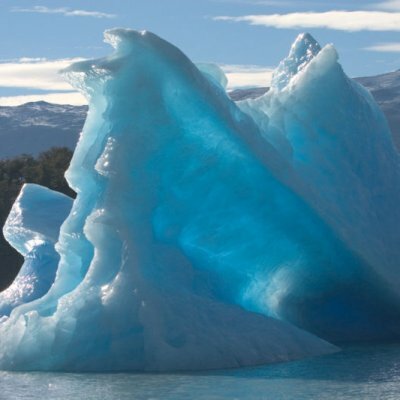 While it is currently impossible to accurately predict how much of the ice sheet will be melting, and over which time, the new report shows there has been a far greater loss of ice mass in the past few years, much more than had been predicted by scientific models. Likewise, the loss of summer arctic sea ice has increased dramatically, with record lows reached in 2005 and — way more dramatic — in 2007. In September 2007, the sea ice shrank to 39 per cent below its 1979-2000 mean, the lowest since satellite monitoring began in 1979 and also the lowest for the entire 20th century based on monitoring from ships and aircraft. “When you look in detail at the science behind the recent arctic changes it becomes painfully clear how our understanding of climate impacts lags behind the changes that we are already seeing in the Arctic,” said Sommerkorn. To me, this is again no news as I talked about this topic in January. However, I am quite afraid as some countries of this region are more waiting for to see the ice disappear to tap the oil reserves below than preventing this same ice to melt. As the WWF states, this would require to” throw the wheel around”. I think we might also need some ways to cool back the Earth. Since I have some serious data on this topic (that really looks like sci fi, I admit), I will publish it as soon as I can. Anyhow, we already have as many as eleven different ways to mitigate climate change. They were the subjects of yesterday’s article. And you, what do you think about the situation at hand ? Do you think that we can throw the wheel around and save ourselves ? Or do you believe it is already to late or that we won’t have the guts to do it ?